Estate planning is not a subject that many people want to think about, but it’s crucial to your life plan. Estate planning will guarantee that your loved ones have what they need once you pass. It is just as important to recognize that there are many myths and misconceptions out there regarding estate planning, but understand that if you fall victim to these untruths, you will leave your family in a scramble once you are gone. Putting a plan in place is the best thing that you can do to ensure that your family and financial goals are taken care of and that the people left behind know your wishes. Of the many estate planning myths and misconceptions, the following are the ones that we hear frequently. Be sure that if any of these sound familiar that it is best to reconsider your choices. Don't assume that your circumstances exclude you from making these critical life choices. 1. Estate planning is just for the wealthy. Estate planning applies to everyone, not just wealthy people. It doesn’t matter how much you have in your accounts or how many valuables you own. You want to be sure that whatever you do have goes to the person of your choice. 2. 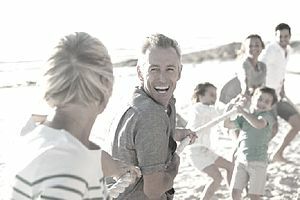 I’m too young to worry about estate planning. Unfortunately, we are all painfully aware that life can change on a dime. The truth is, it doesn’t matter how old we are or how much of an estate we have to take care of, putting a plan in action as soon as possible is the best thing you can do for yourself and your loved ones. 3. I’m married, so everything will go to my spouse anyway. While being married does make dividing your assets seem a bit easier, there are a lot of things that can change that. What if your spouse remarries or if you and your spouse pass together? What if there are certain things that you’d like to go to your children? These situations come up frequently, and without an estate plan, can leave your finances in disarray. 4. My family will “do the right thing.” While the hope is that our families will honor our wishes and do the right thing, the best thing that you can do is write them down to mitigate any potential issues. By making your wishes explicitly clear, you can trust that your family will take care of things the way you would have wanted. 5. I don’t have to coordinate my retirement accounts or insurance policies. While it may seem obvious that your 401(k) and life insurance are part of your estate, they should still be included when planning your beneficiaries and asset divisions. Remember, the person that you designate to receive the money on the actual accounts should match the person listed in your estate plan. 6. Ignoring potential scenarios. Estate planning is not just as simple as designating a beneficiary and leaving it at that. You need to take into consideration possible scenarios such as what if the person you hoped to receive your assets passes? Or what if that person is no longer capable of making his/her own decisions? Be sure to have alternate plans for your assets in case circumstances change. 7. Communication is key. When planning your estate, be sure to speak with your heirs and loved ones about your plans. Situations play out every day where a loved one dies and his/her children automatically start dividing up personal possessions, closing bank accounts, and much more without bothering to read any estate documents. Insurance policies, stocks and properties can go unclaimed without any communication. Let your loved ones know what you’re planning and what steps you’d like them to take after you’re gone. 8. Trying to make everyone happy. There’s a saying that goes “you can please some people some of the time, but you can’t please all the people all of the time.” This is true for estate planning too. You will create a will, divide your assets, and have everything written out exactly you want, and still, someone’s not happy. But remember, it’s your estate, and you need to take care of it as you see fit. 9. Planning it all on your own. Estate planning is not a do-it-yourself project. You will really want to speak to a professional- a financial advisor and estate planner that knows the ins and outs of the law when it comes to taxes, trusts and wills. 10. Failing to update documents. Estate planning should not be looked at as “set it and forget it.” You are going to need to make updates and changes at least once or you’ll be missing a lot of pieces to your financial puzzle. Assets will go completely unnoticed, accounts may not be considered, and investments you’ve worked so hard for can amount to nothing. 11. Failing to pay attention to combined assets. If you and your spouse have combined your assets to create a large estate for you children and/or loved ones, you don’t want to ignore the potential effects of federal estate tax. Leaving all of your estate to a spouse is tax free, but should you both pass, the laws are different. Speak with a financial advisor to determine the best way to designate a beneficiary in order to avoid large taxes on your estate. 12. Not considering gifting some assets before your passing. If you have several assets and want to avoid the possibility of estate taxes, you might want to evaluate some of them and think about gifting them to your loved ones before you pass. In 2015, the federal gift tax exclusion allows you to gift up to $14,000 to as many people as you wish without it being counted against your $5.43 million estate exemption.